Are you looking to have a direct, positive impact on someone's life? Do you want to repay someone else's kindness by giving back to your community? Do you respect the contributions of older adults and want to find a way to say, "Thank You!" If you answered "YES" to any of the above questions, volunteering with Koochiching Aging Options may be the perfect fit for you. In addition to the good feelings of giving of yourself, studies have shown that volunteering has psychological benefits while also helping to foster a closer-knit community. Koochiching Aging Options has many such opportunities to make the world a better place. Koochiching Aging Options volunteers help with office duties, provide support during events and programming, and get out into the community to touch the lives of others. Volunteers in the Groceries to You! program help older adults maintain independence through food security. One day each week a volunteer takes grocery orders from program participants. 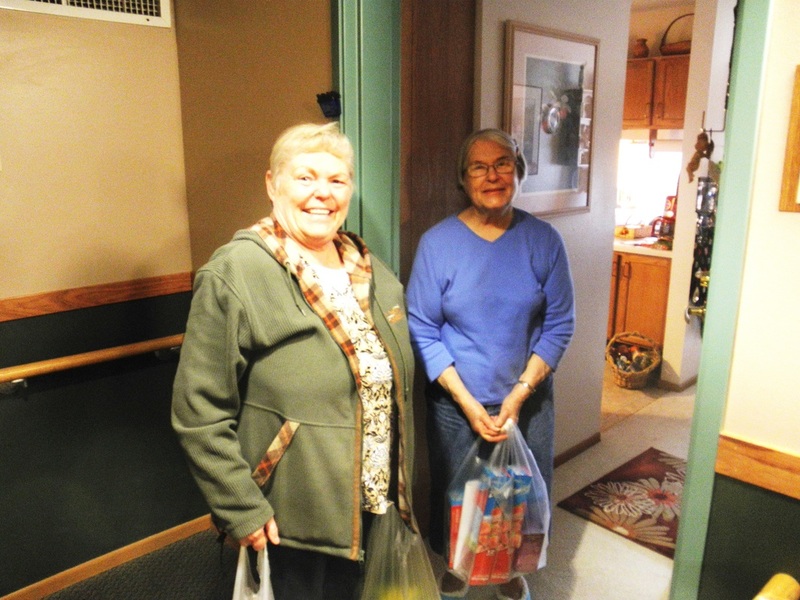 The following day volunteers shop for and then deliver groceries to participants' homes. A big part of this program is the socializing that volunteers do as they visit with participants after delivering groceries. Volunteers are always needed. A modest mileage reimbursement is available to those who make deliveries. Senior Companions, women and men who are 55 or older, work to create and build relationships with clients who need such a vital link to the outside world. The relationship provides support to the participant and has a direct, positive impact on the participant’s health and ability to live independently. Koochiching Aging Options is a joint facilitator of this volunteer opportunity, working with Lutheran Social Service. In addition to the benefits of befriending an older adult, the program offers qualifying volunteers a modest stipend, volunteer paid time off, and a modest mileage reimbursement. Volunteer drivers for Senior Wheels are caring people who go through training to be sensitive to the special needs of those with health concerns. These volunteers provide rides to and from one-day, routine medical appointments away from the participant's home community. After driving a participant to a medical appointment, the volunteer is free to spend time as they wish until time to pick up the client and bring them home. Volunteers in this program donate all their time, but are reimbursed for their mileage costs at the current IRS mileage rate. Volunteers in the Koochiching Good Visit Program make contact on a regular basis with an older adult with limited social support. You agree to touch bases at least weekly to check in by phone or in person. This can be at a time that works for you and the participant. You may also add activities, such as assisting with making appointments, shopping, and attending events. Volunteers are trained and are asked to allow a background check. Tai Ji Quan: Moving for Better Balance is designed to help participants gain better balance and strength to perform daily functional activities better. Volunteer leaders take a two-day intensive training and commit to providing a session in their community. Classes, lasting 60 minutes, are provided two times a week for 12 weeks. Contact us or yourjuniper.org for more information. 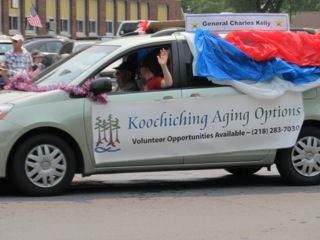 Koochiching Aging Options is governed by a volunteer board of directors. Members represent a wide range of personal and professional experience, geographic difference, gender, age and passion for helping older adults. The board is responsible for oversight of corporate, financial and staffing matters as well as helping to raise funds for the mission of the organization. Contact us if you are interested in serving!